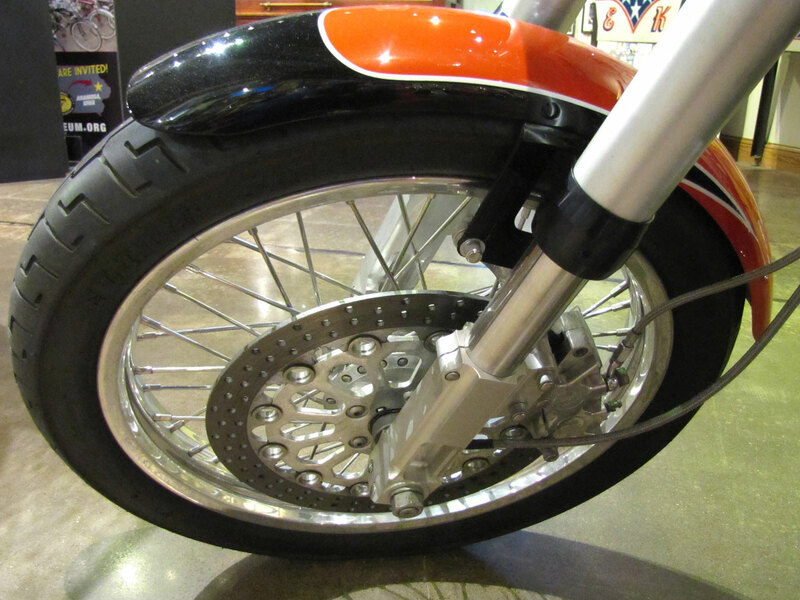 In 1994 Performance Machine was using a flat track-look custom Sportster in their ads to promote their wheels and brakes. 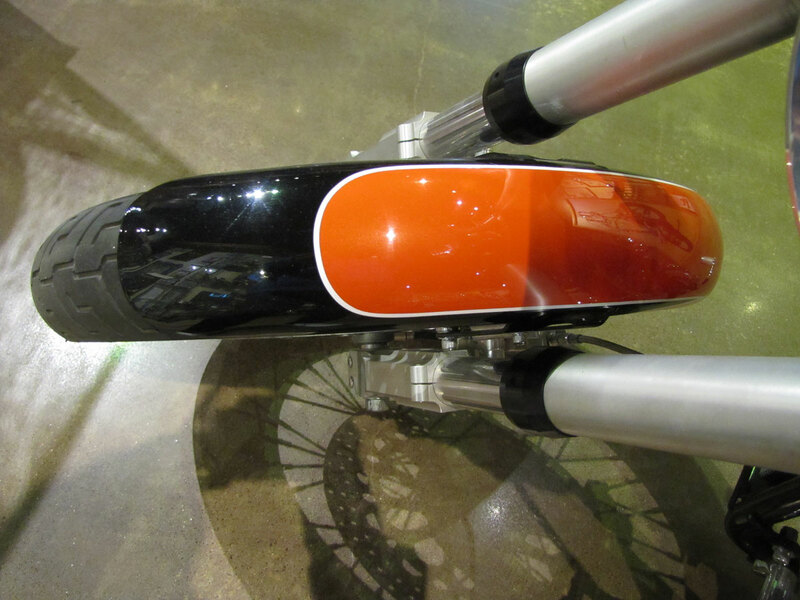 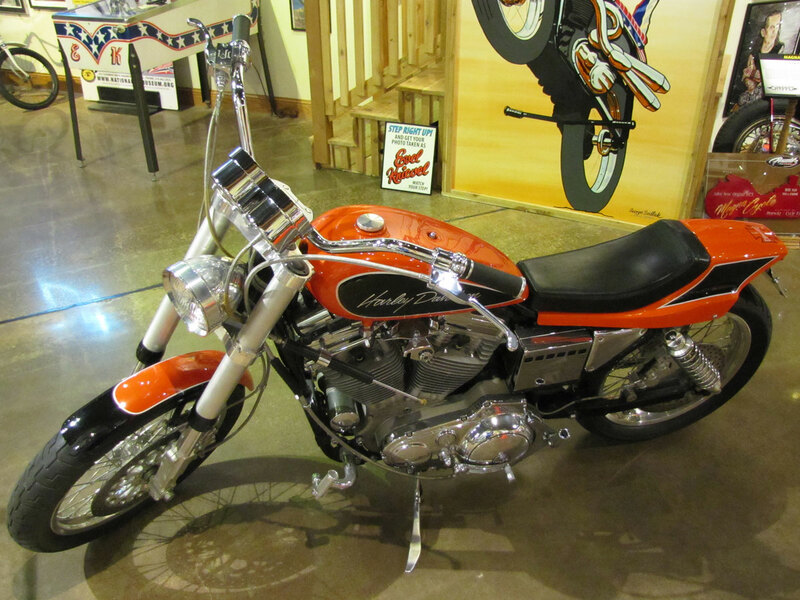 Iowa resident Jaey Sedlacek called PM, asking to buy the bike. 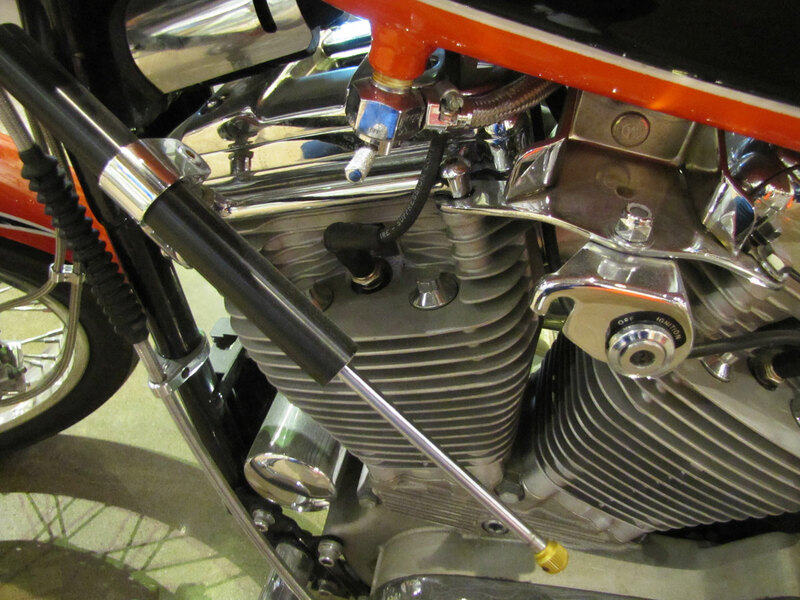 Responding it was not for sale, PM sent Sedlacek to a relatively unknown “machinist,” Jesse James. 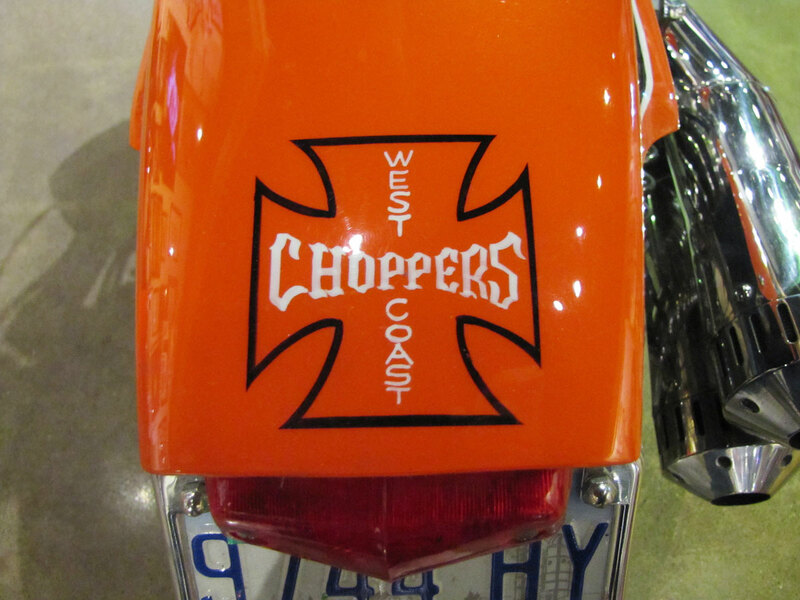 This is before James created the custom bike building company West Coast Choppers, when he worked for Boyd Coddington, Hot Rods by Boyd, Inc. 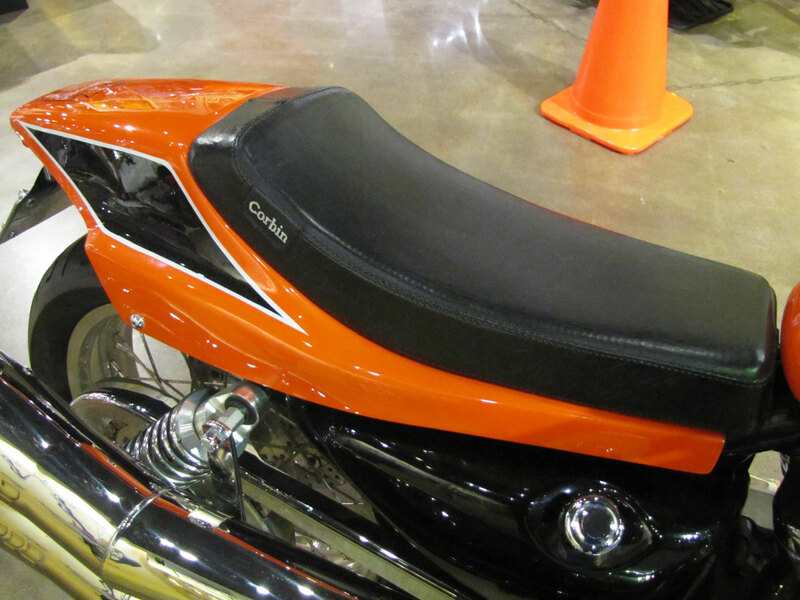 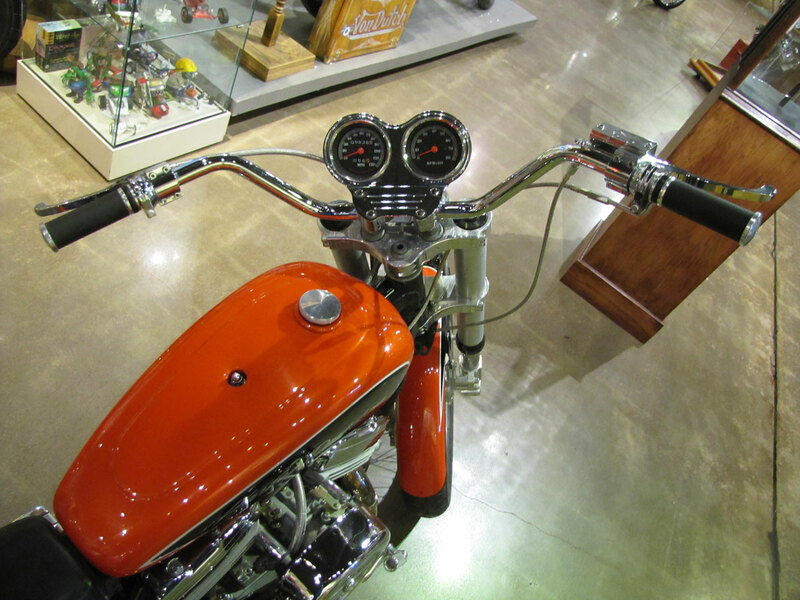 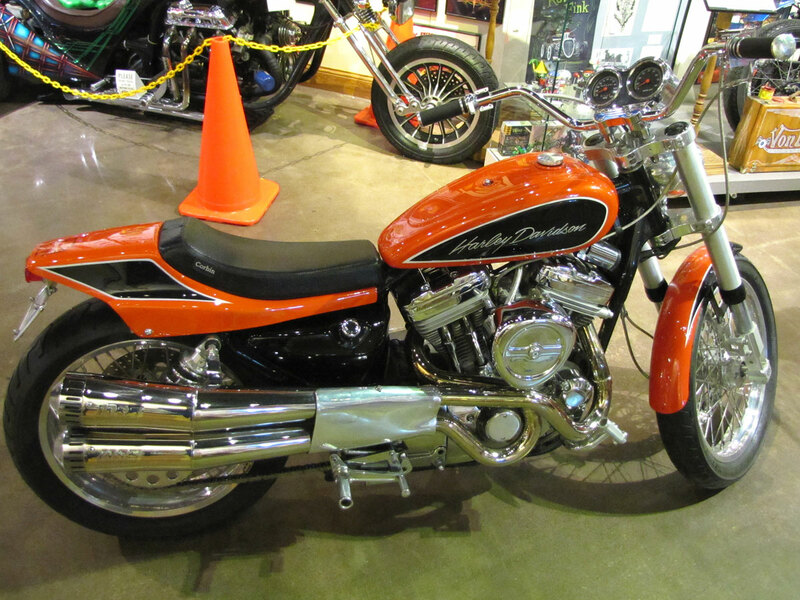 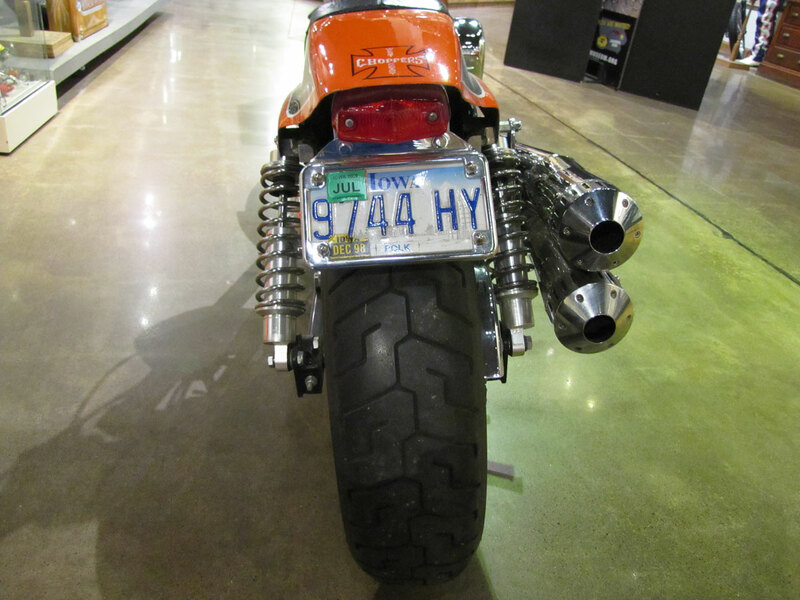 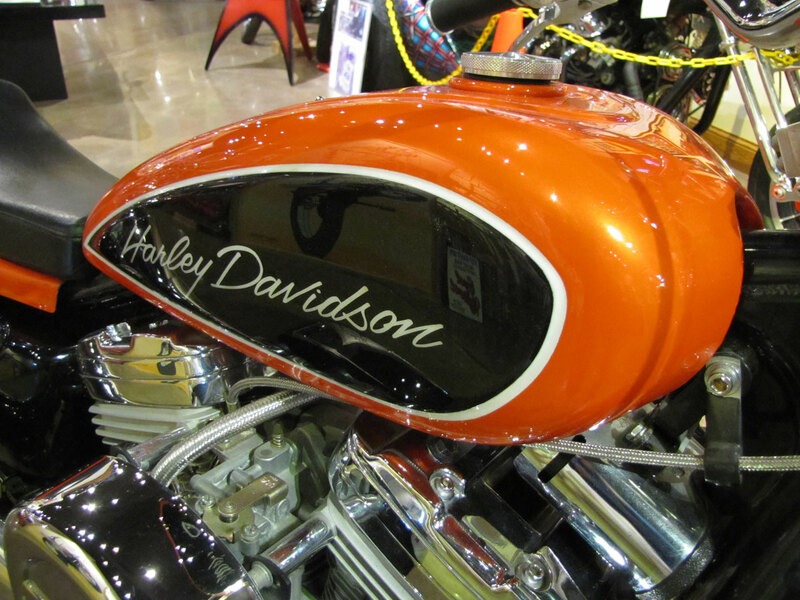 There James created several custom and high performance Sportsters, this one commissioned by Iowan, Jaey Sedlacek. 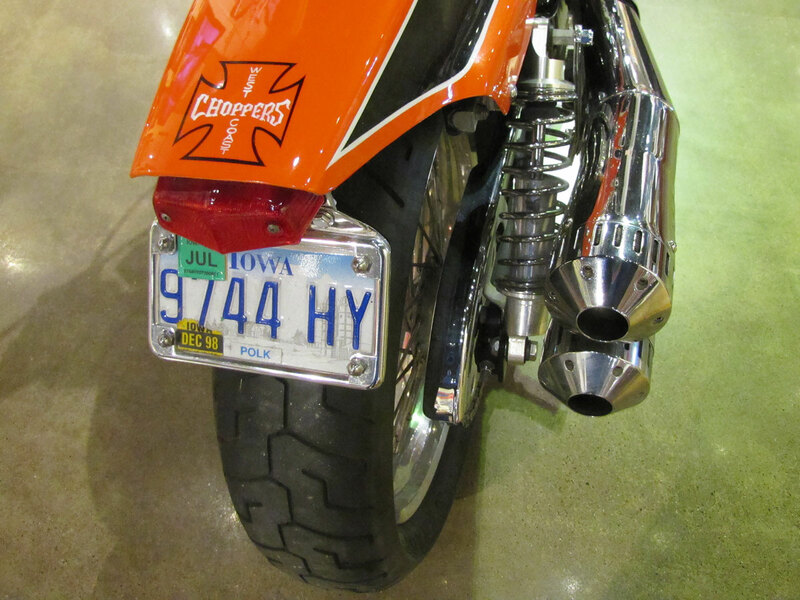 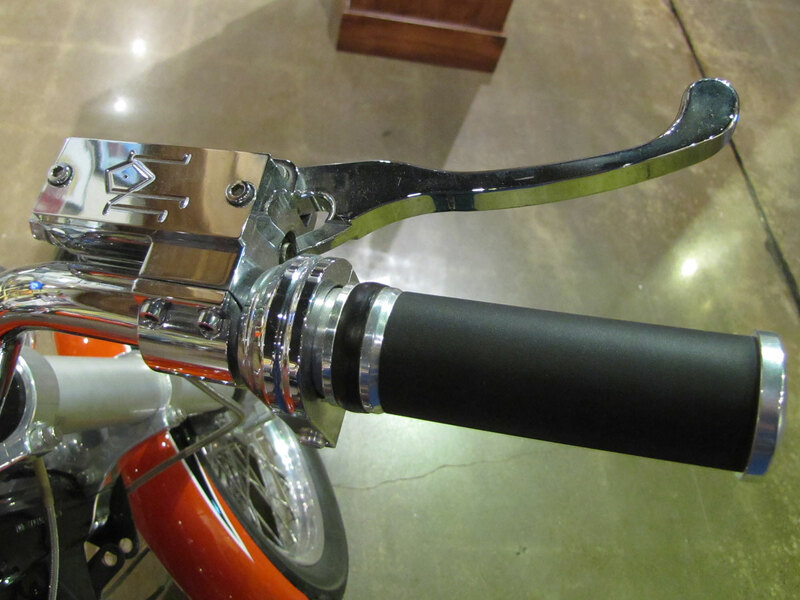 By the time James finished the bike for delivery, he was off on his own having started West Coast Choppers. 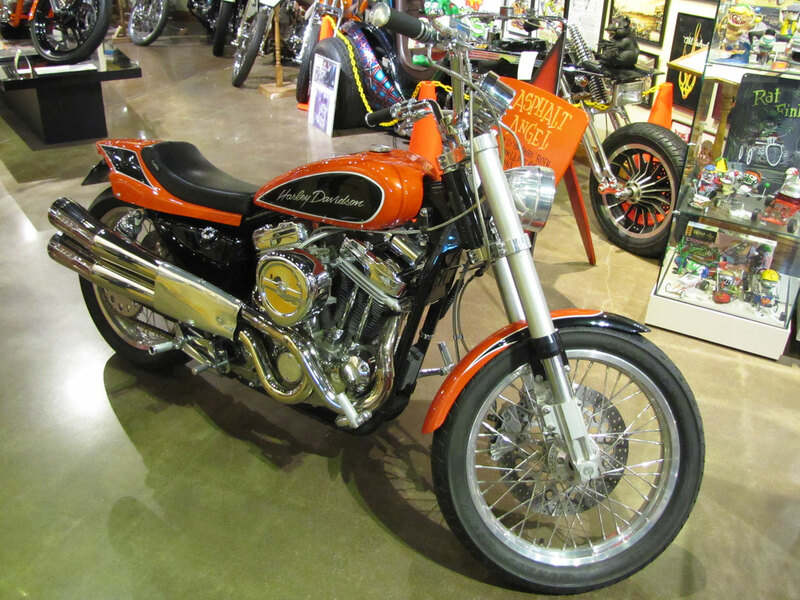 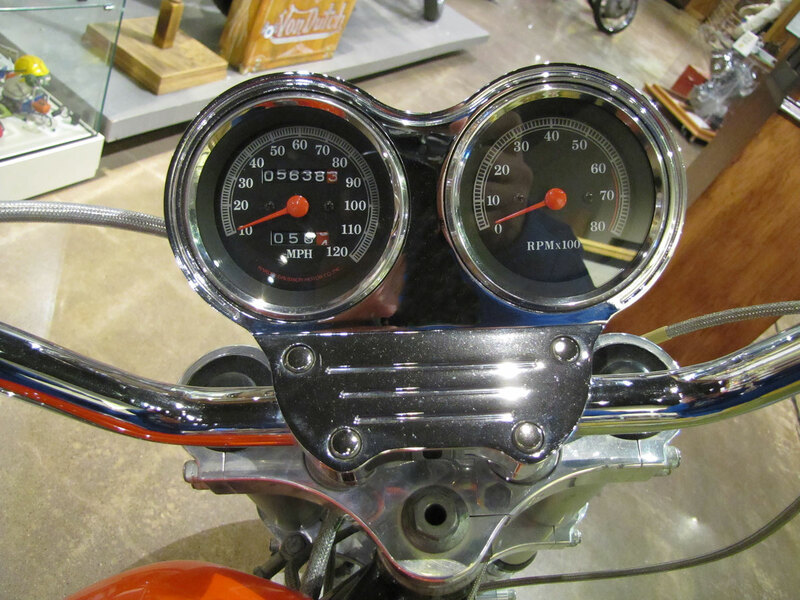 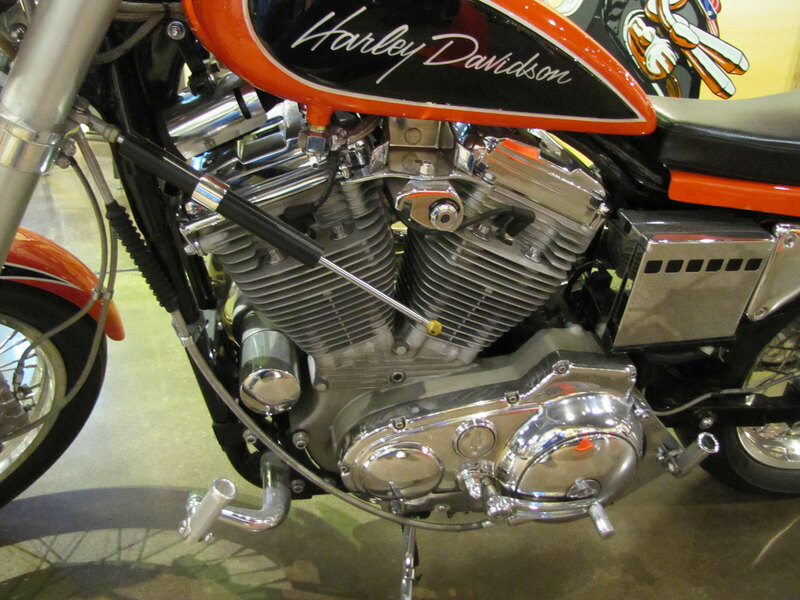 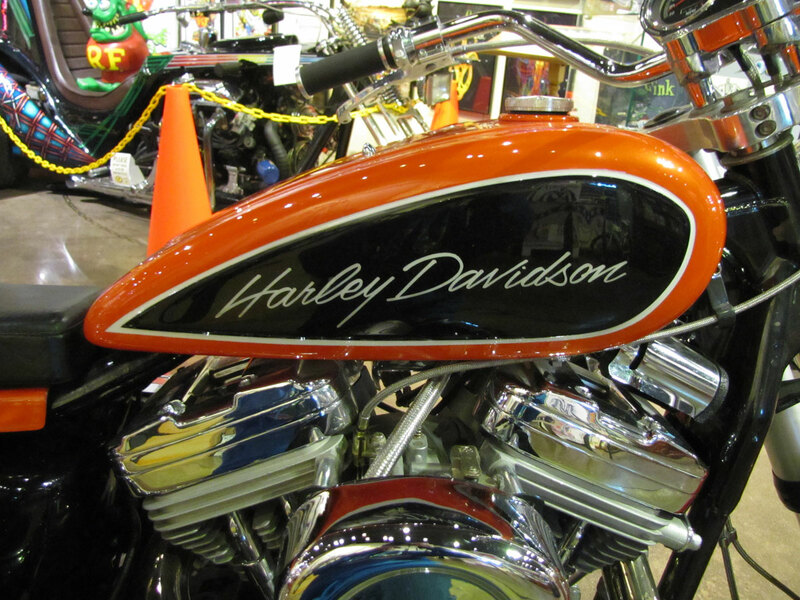 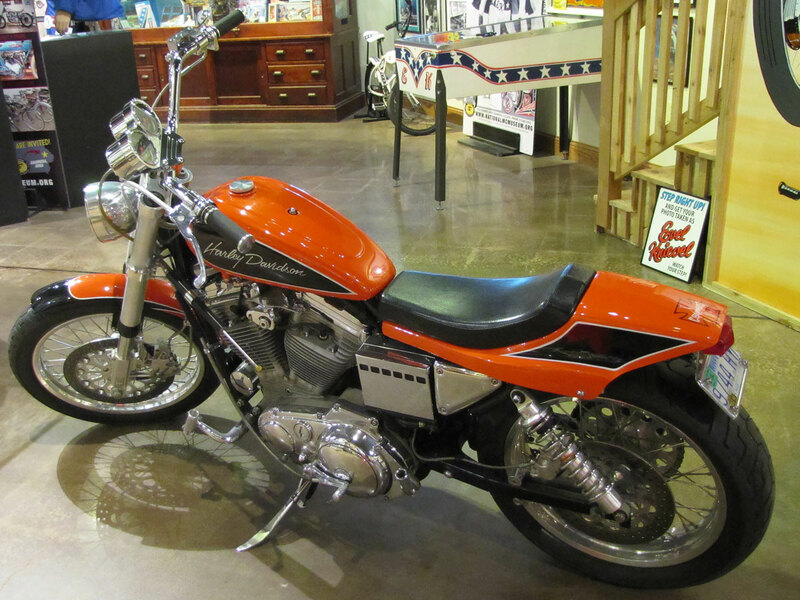 Harley Sportsters are a great starting point for everything from “replica” XR750 dirt track racers to choppers, and certainly street legal drag bikes. 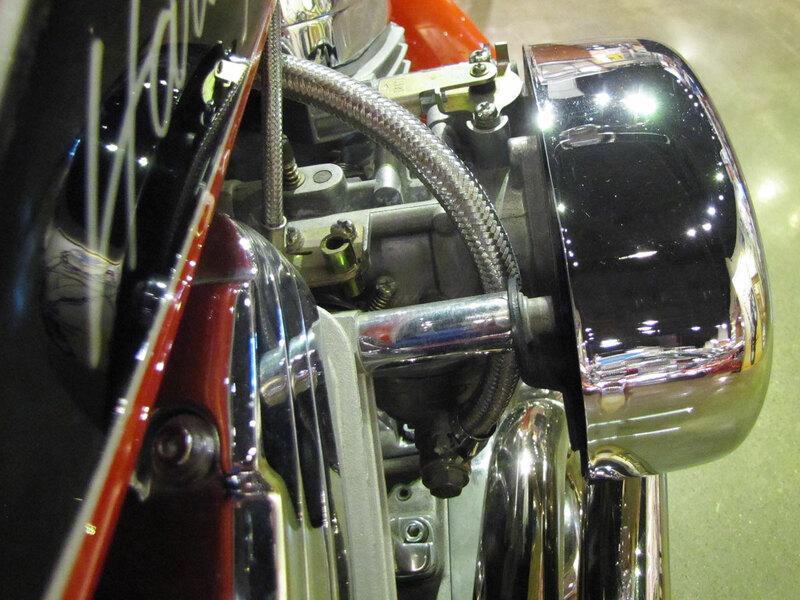 The engines respond to tuning, parts are widely available, basic proportions are good and the result is always a machine that looks and sounds like it means business. 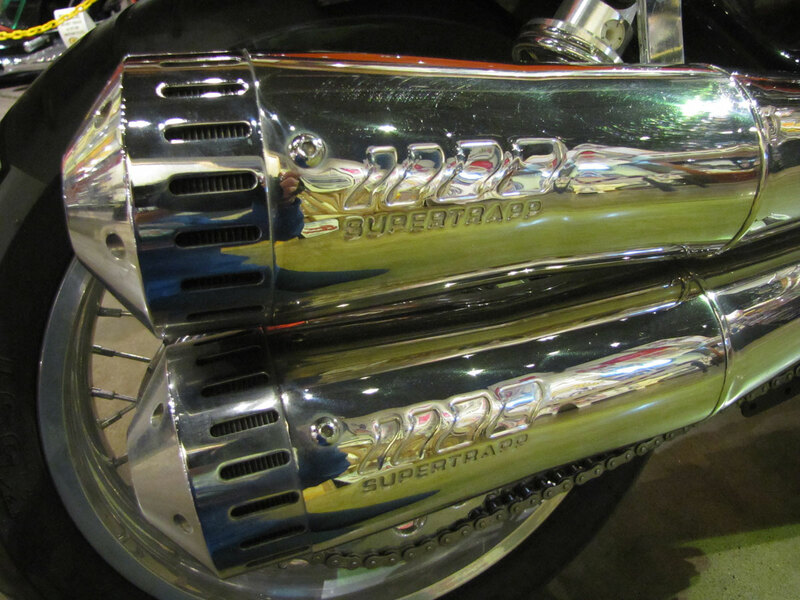 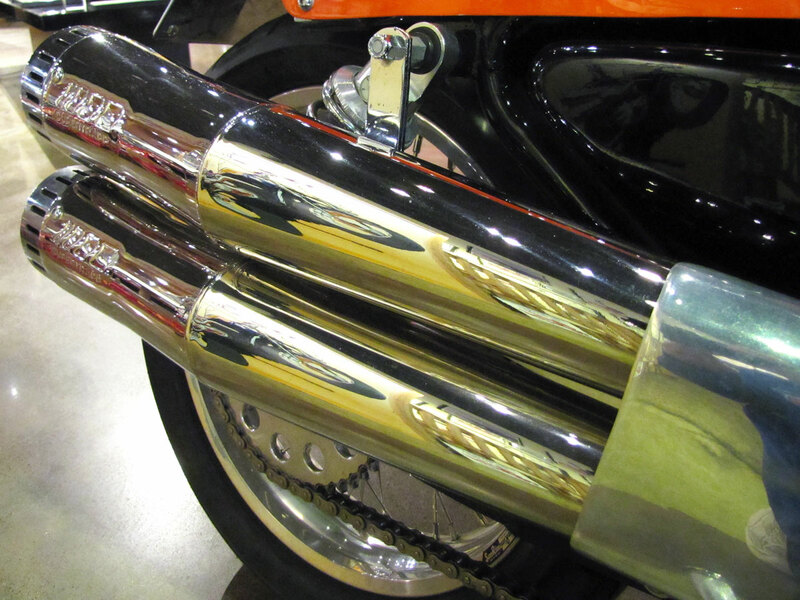 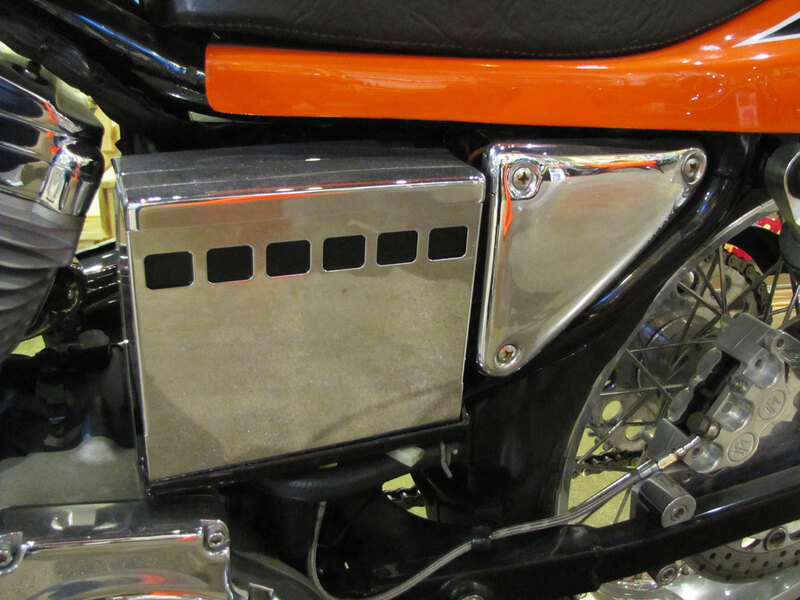 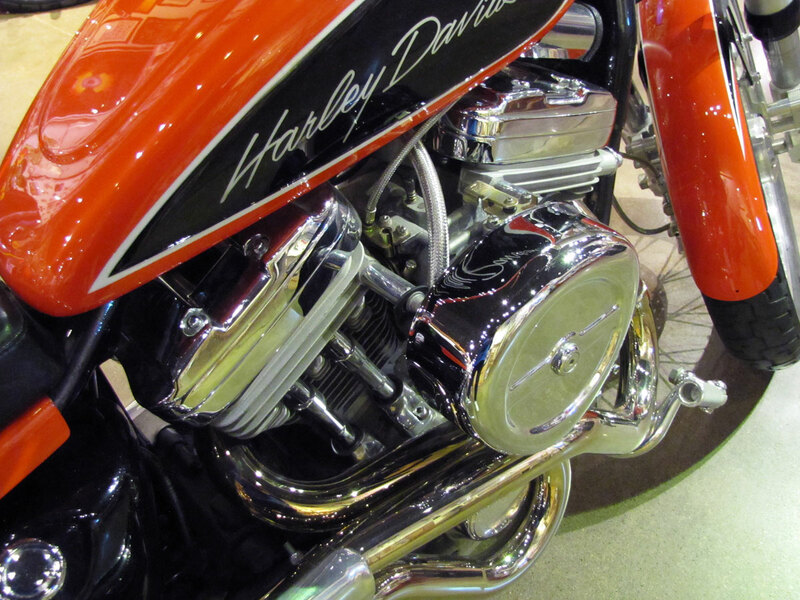 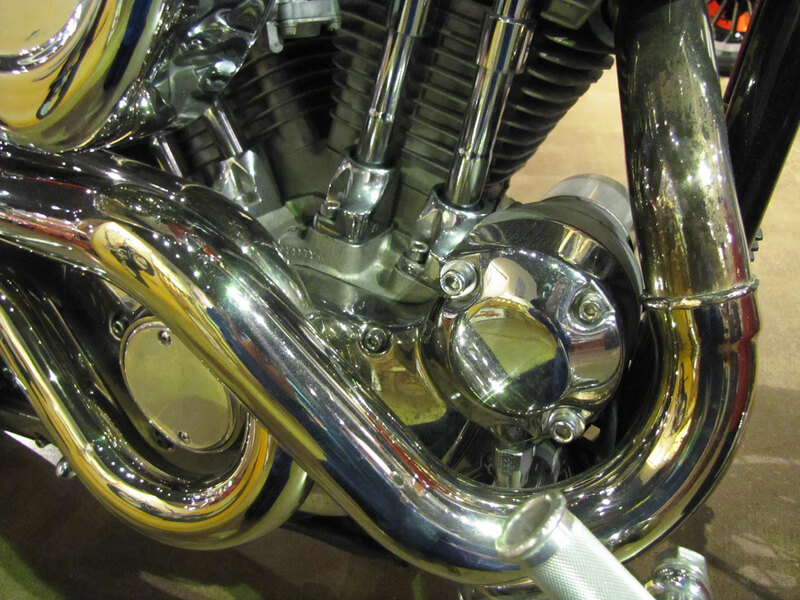 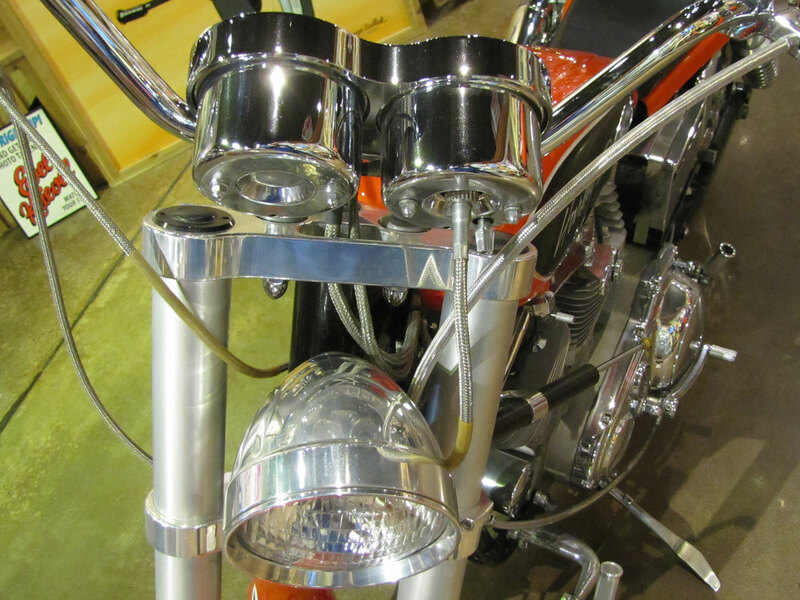 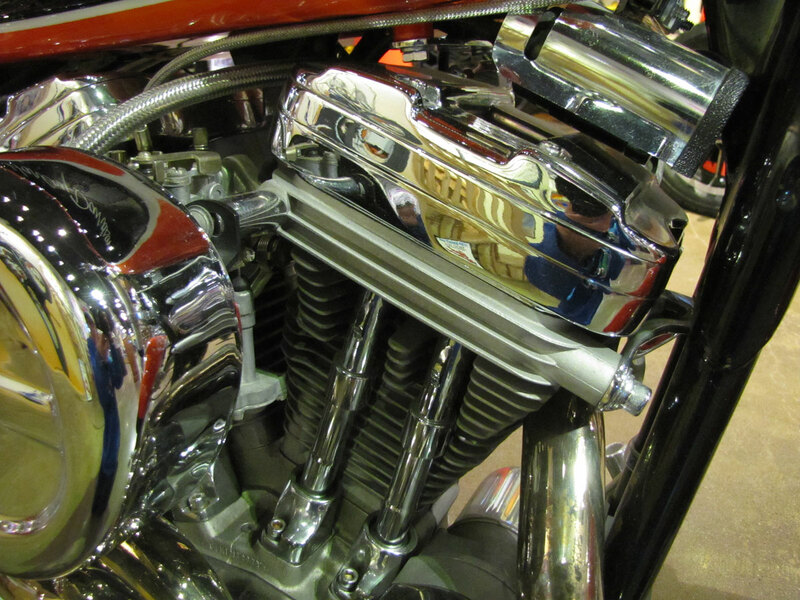 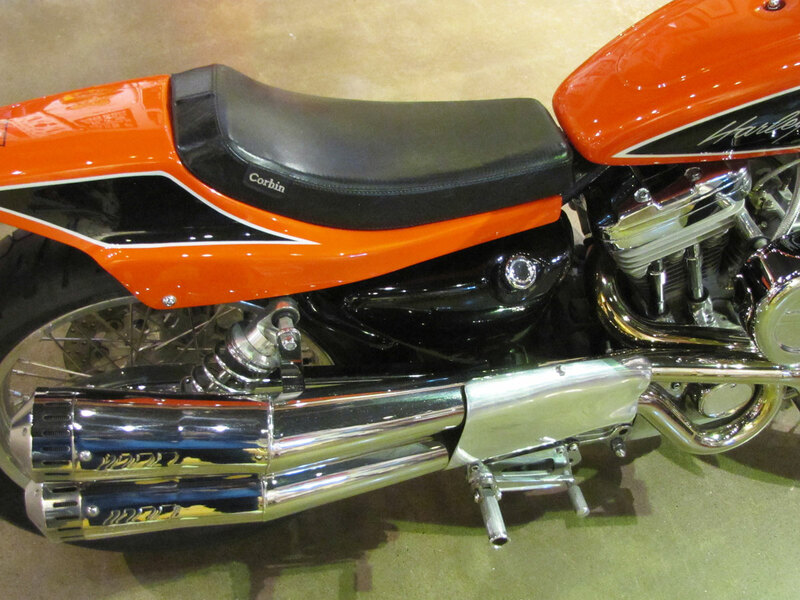 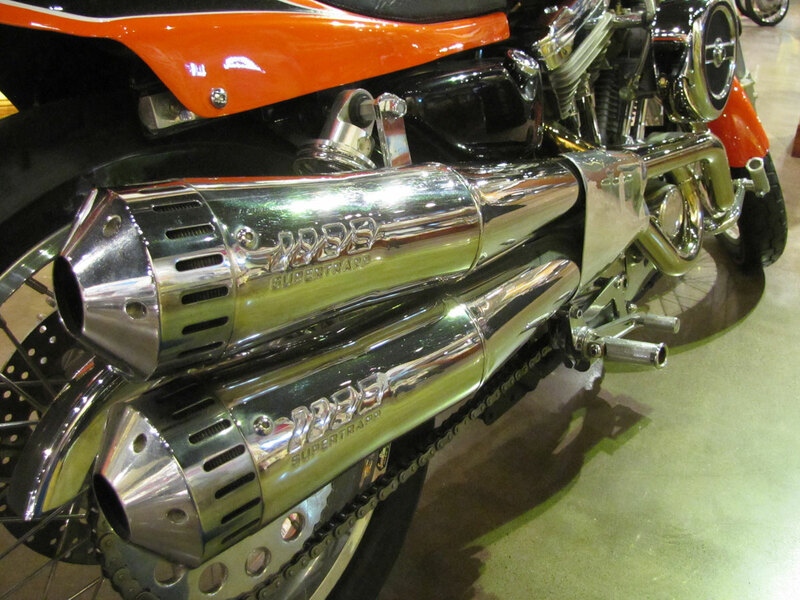 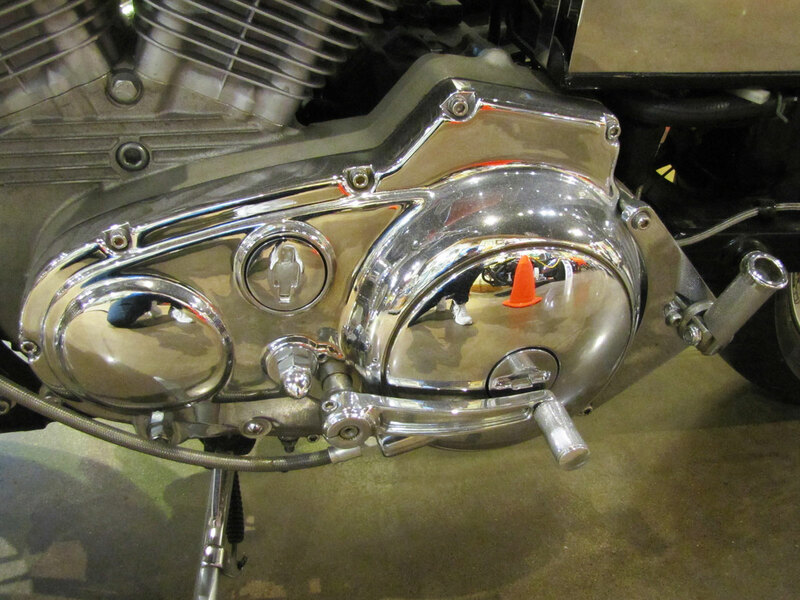 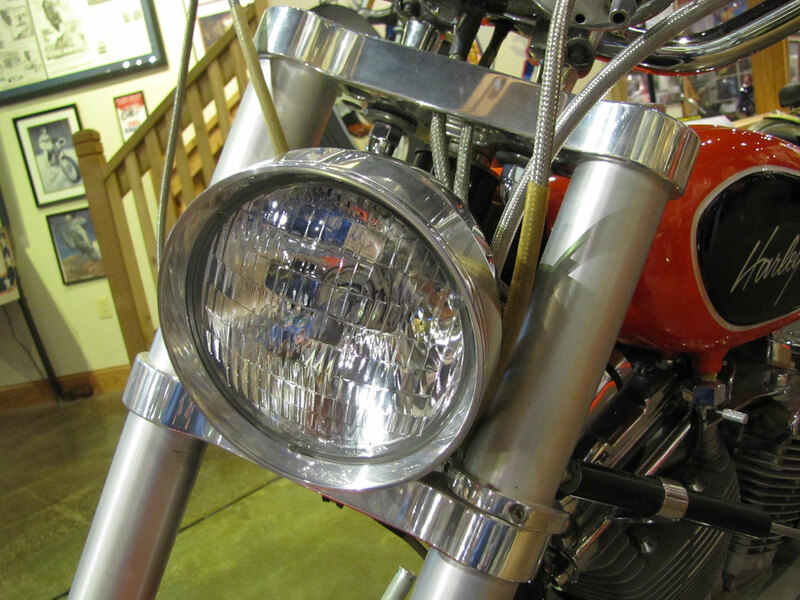 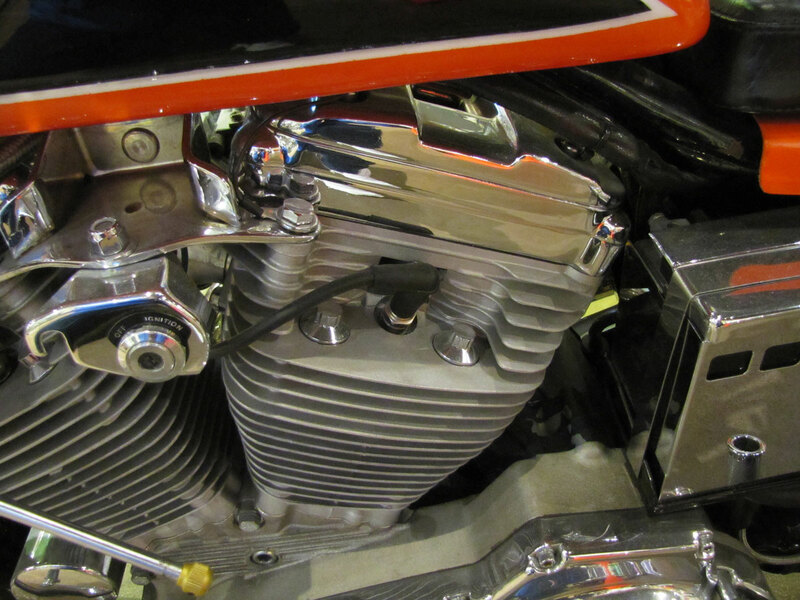 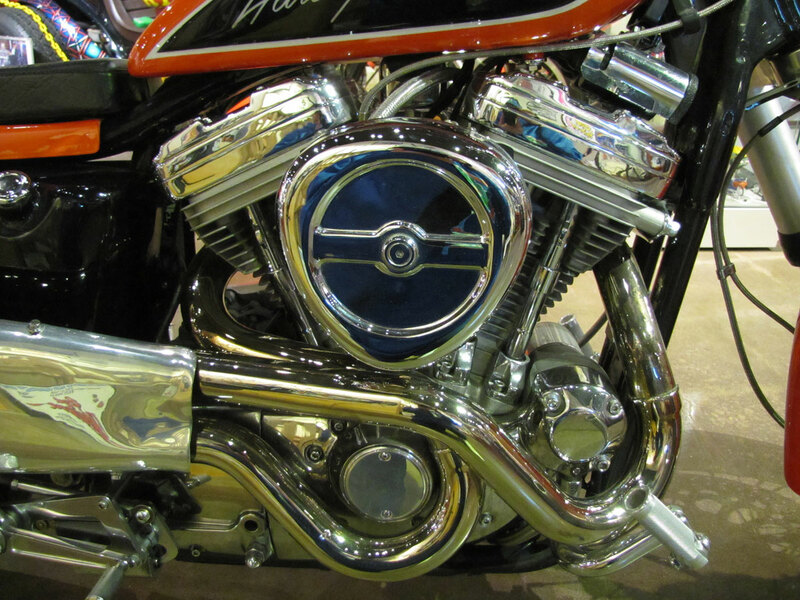 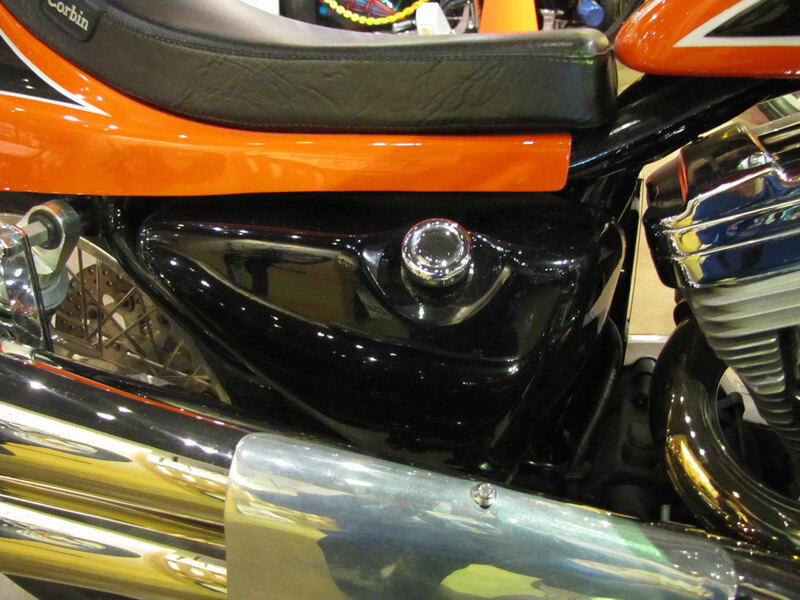 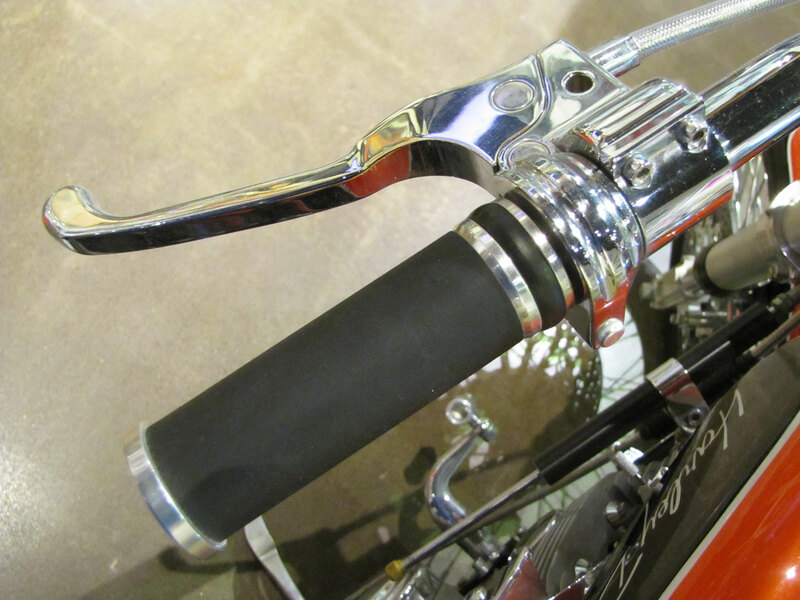 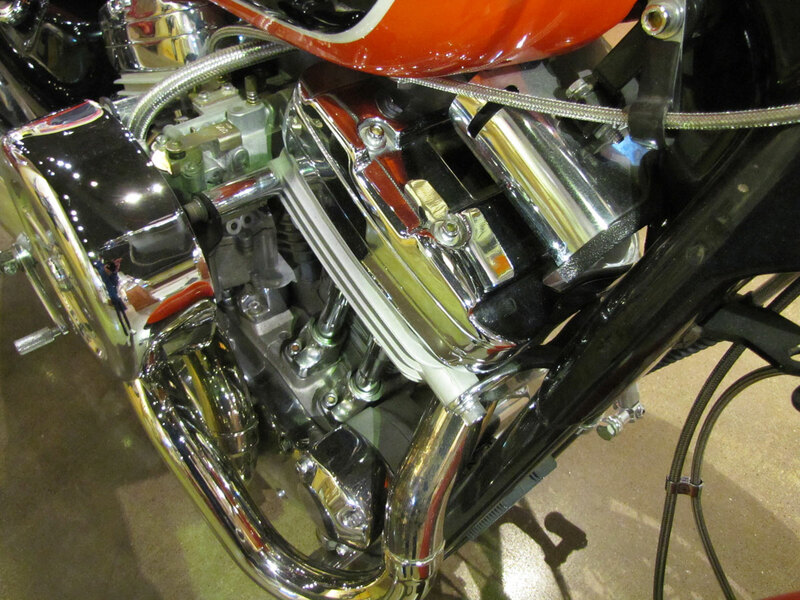 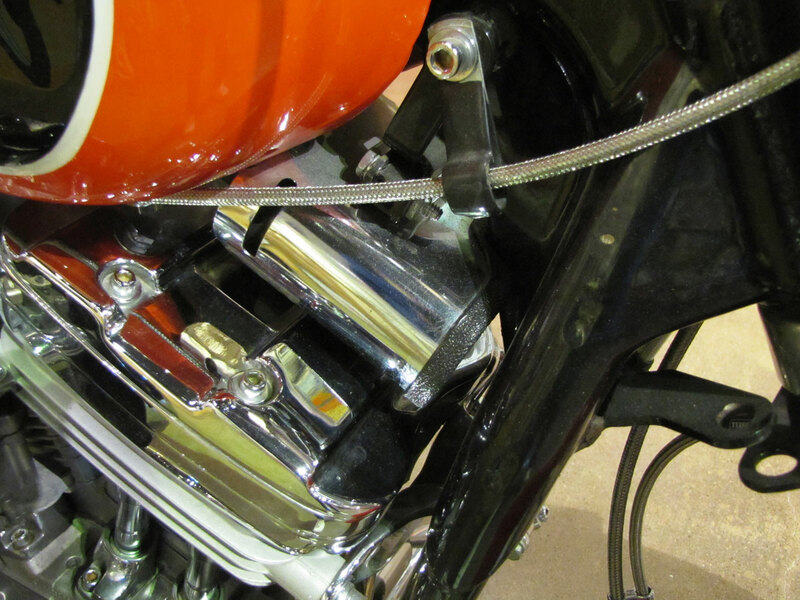 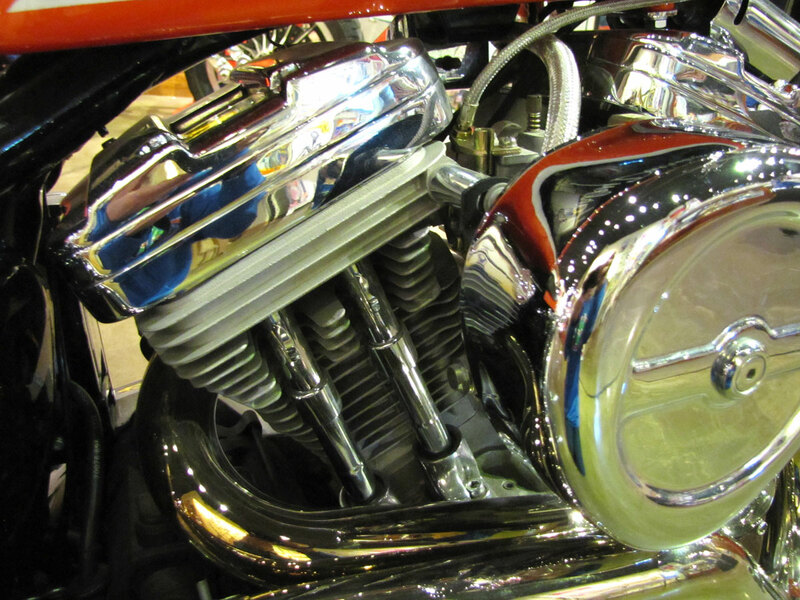 As you can read on the specifications, below, this engine is more than a chromed and polished show piece. 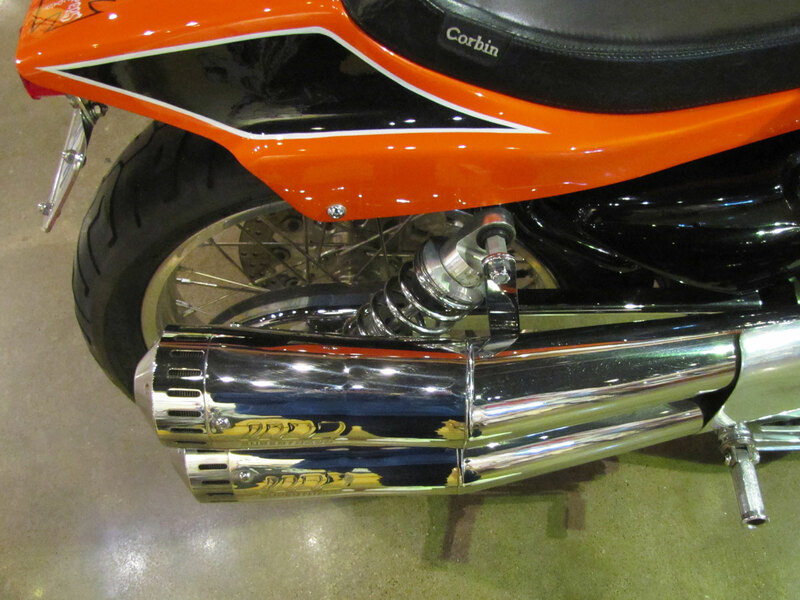 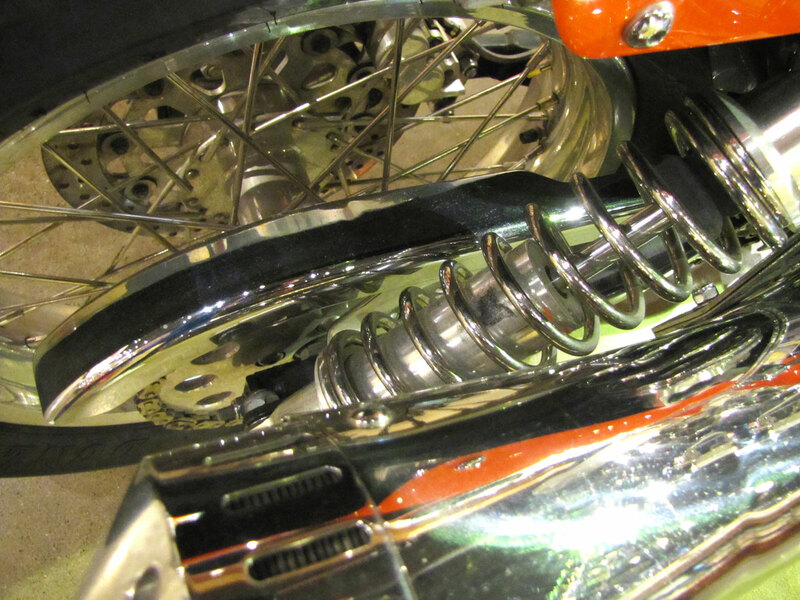 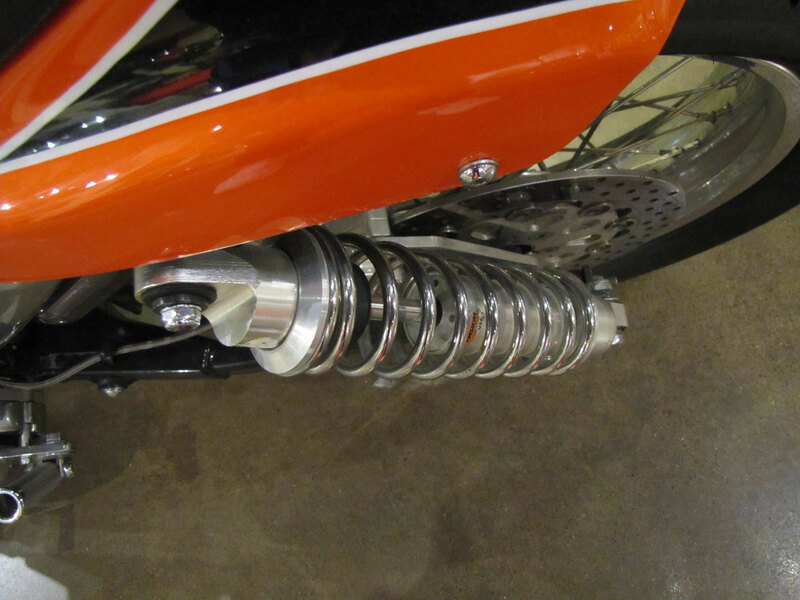 James also went the extra mile with a fully polished Super Trapp pipe, and for the suspension, used top rated shocks and a Storz “upside down” fork. 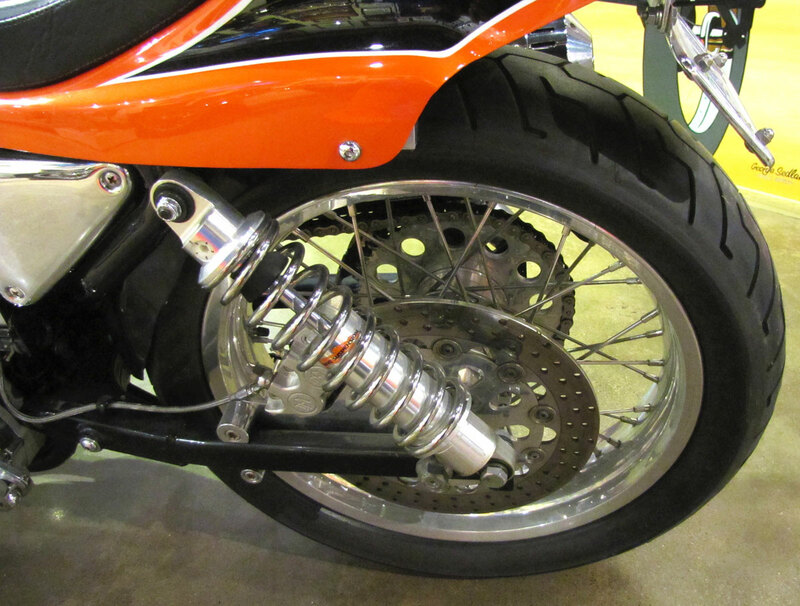 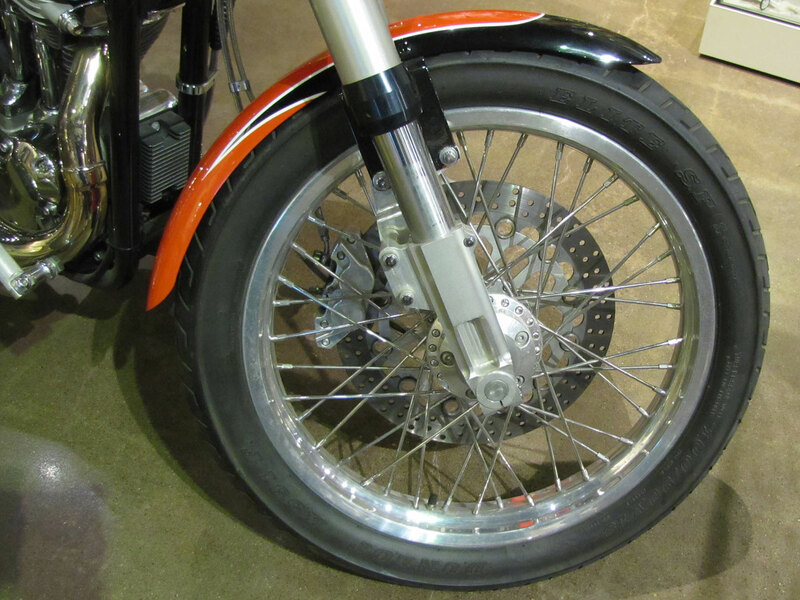 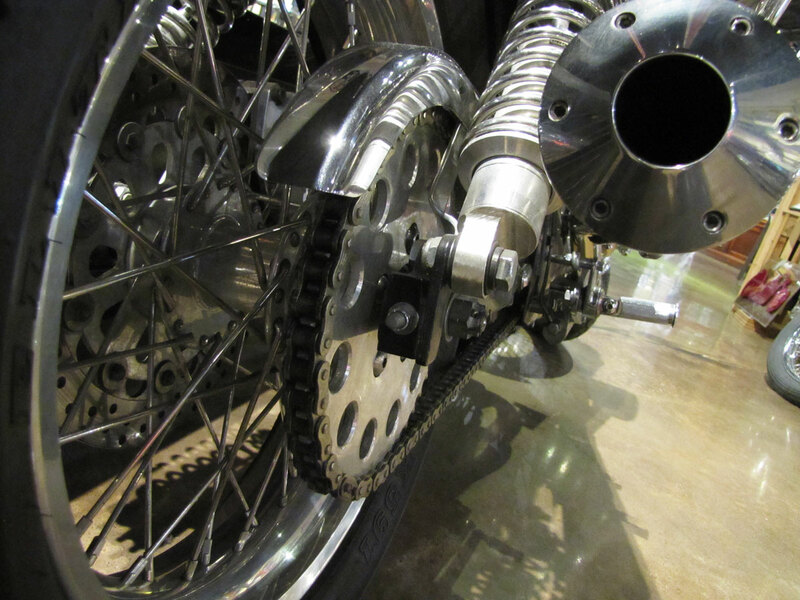 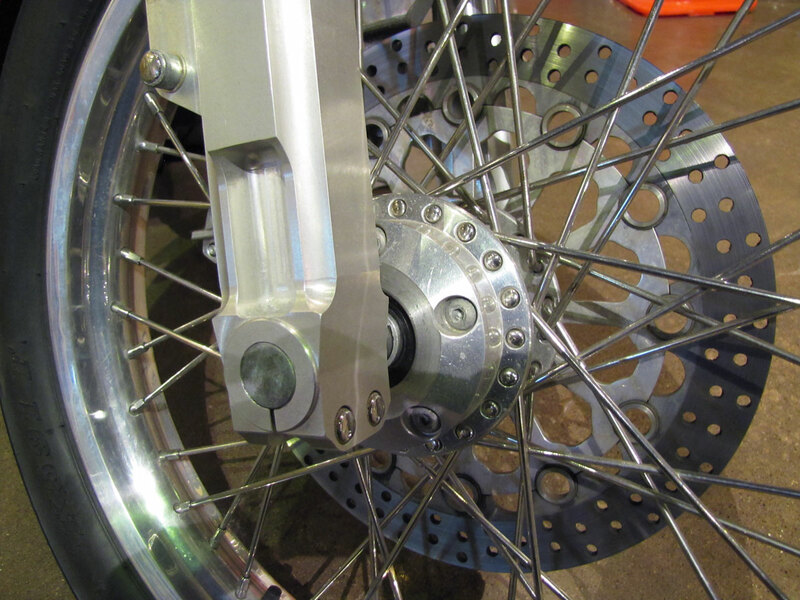 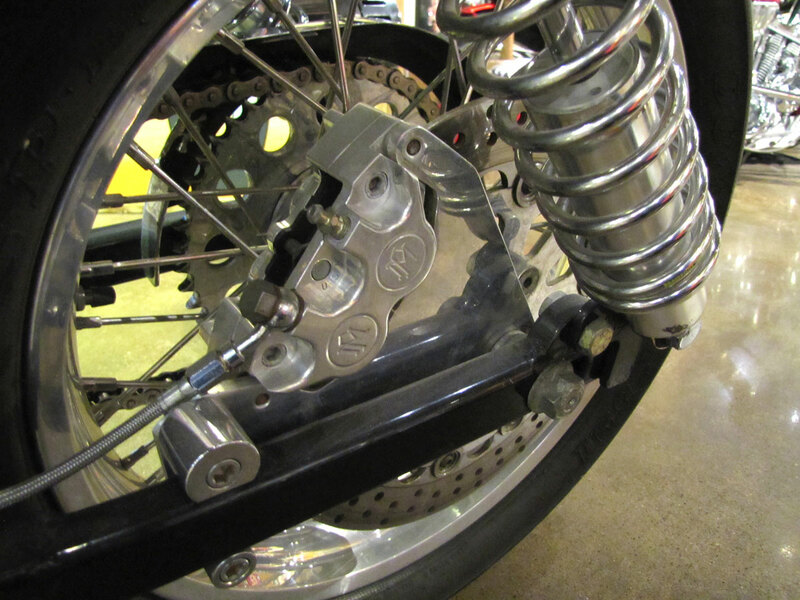 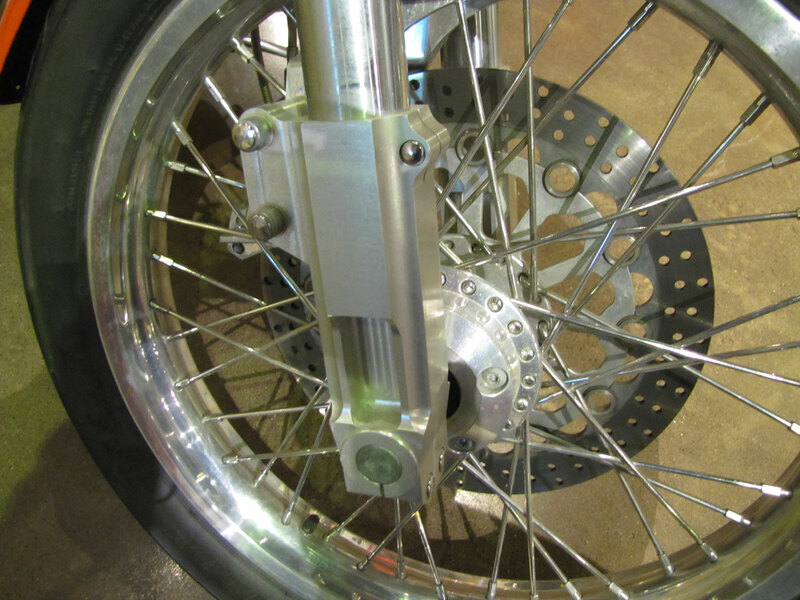 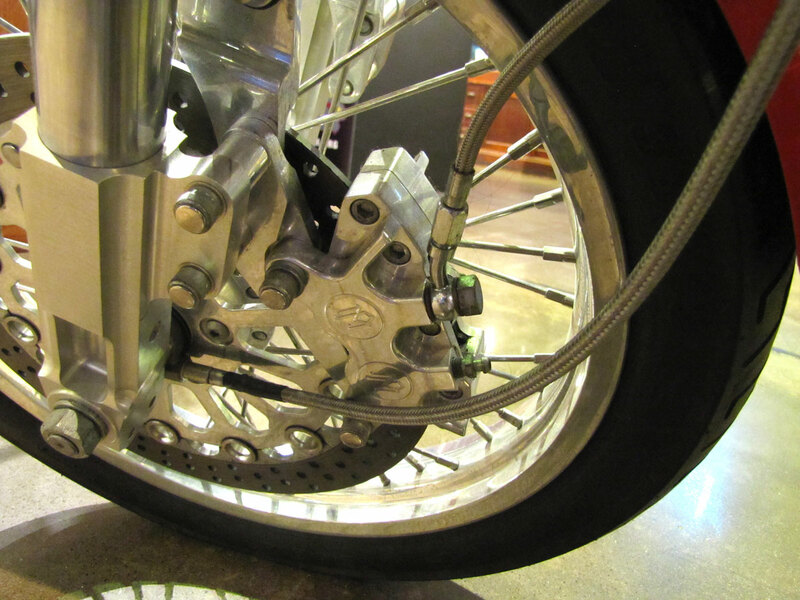 Though more than a dirt track racer would use, brakes are PM and rims flangeless alloy, polished but typical of dirt trackers for a few decades.